"Death is a banquet. It's up to the murderer to write the menu"
The Assassin is a offense-oriented class centered around critical strikes. The class offers enhanced crits on full or low life enemies and enhancing their power charges. This build can reach 1 million shaper dps with garbage gear, cheap, around 1 exalt in total, but of course we can gradually build it up. 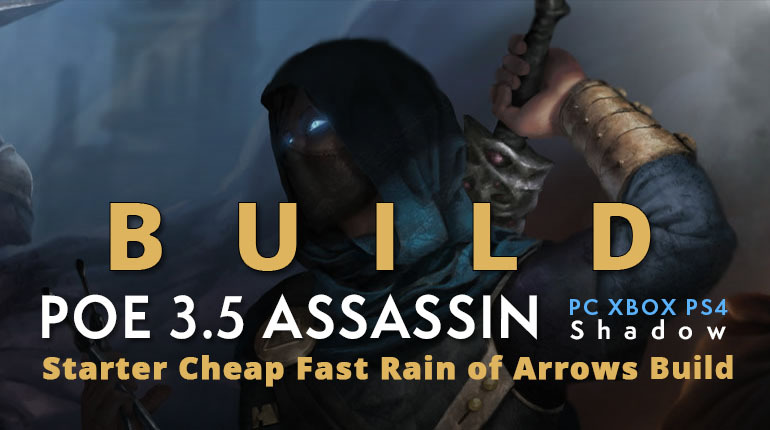 Have high clear speed with +173% movement speed while mapping, good aoe from Rain of arrow. +Can reach 1 million shaper dps with garbage gear. +High clear speed with +173% movement speed while mapping, good aoe from Rain of arrow. +Cheap, around 1 exalt in total, but of course we can gradually build it up. +1700 Life leech/s. 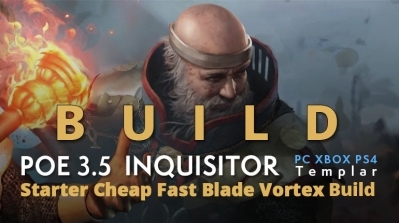 43% Evasion, 30% Spell Dodge, 5k life, 50% reduced curse effect, overcapped resist for elemental weakness, plenty of evasion, artic armour, pantheons. +Don't care about map mods. 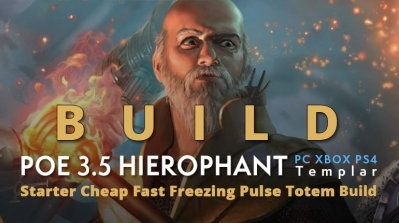 - Damage over time build, mobs don’t instantly die, no fancy Herald effect, no instant safety from that. The feelsgood factor from mobs instanly dying should also be considered. Can facetank bosses up to red map, in which we try to stand a bit far away and rely on the knock back on crit to push the boss back. Kraityn gives the most dps and utility. Listed in order of importance. Note: Toxic rain is a viable alternative, but it is a bit slow to apply life gain on hit part, which can be dangerous in some situation. Actually you don't need a 6 link Rain of Arrow to kill trash mobs, 5 links is fine. Note: No greater multiple projectile, the mana multiplier is just too much. Bow: Lioneye's Glare. Explanation above. A common alternative is Quillrain, it indeed can get you to maps. But the Lioneye's glare is still beter because we really don't need that much attack speed. Quiver: Maloney's nightfall : Blind, Life, and damage. Very good and cheap unique. You can corrupt it for an extra 1 additional arrow. Body Armour: Rare Armour with life and resist. Evasion based for chroming. Don’t use Dendrobate because we don’t need the duration and it is just 10% more damage increase with no life and resist. Belt: Stygian Vise with life and resist. Flask charge duration mod is a good bonus. Impresence chaos version is best in slot. Bubonic Trail is best in slot, even with 1 jewel socket. We don't need another 4 link anyway so let's utilize that. Helmet: A Helmet with +to level of Socketed Minion gems, life and resist. Evasion based. Glove: Rare Glove with life and resist, +% attack speed is good. You can use The embalmer is an easy 5 link for Barrage early. Ring: Thief’s Torment. Look for High life gain on hit and quantity. 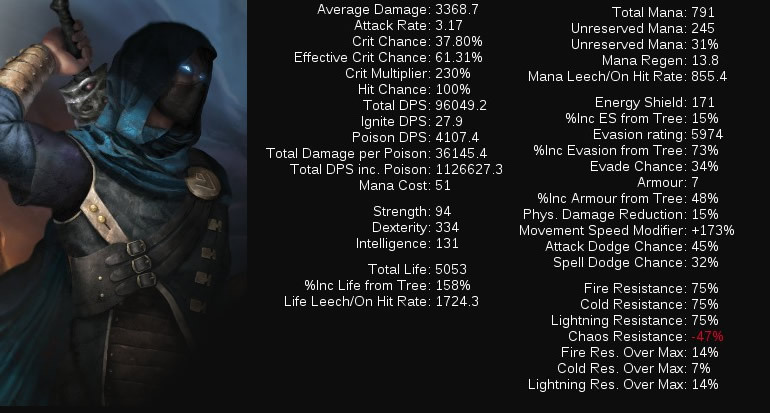 Other stats to look for if you have the money: Crit chance and crit multiplier, any stats that you see fit. All jewels have to have life, and are abyss jewel. That is the general guideline, any other mods you can find is a bonus. You can use Fertile mind to compensate for intelligence early on if needed. 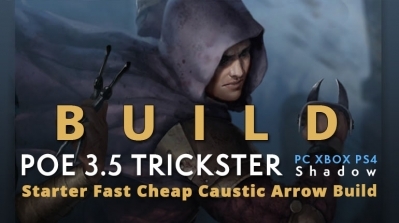 Use caustic arrow for leveling till you complete normal lab. After completing normal lab, respec to have at least 80% chance to poison (Use some chance to poison nodes from the tree, don’t use the gem, then respec after you have over 100% chance to poison). By then switch to toxic rain/ rain of arrow, and have barrage as single target, get Herald of Agony ( you have 60% chance to poison from Ascendancy and the herald alone, fill out the other 40% from the tree). 4 links work just fine to maps. Remember to buy the gems and level it when possible. Don’t take any crit nodes early on. Take the jewel node only if you have good jewel. You can get +30 intelligence from the tree and then respec if needed. Try to collect all the damage overtime node/poison node and then only life afterwords. Pick Acrobatic and Phase Acrobatics as soon as possible. If you don’t have Thief’s Torment and don’t want spamming mana flask early on, get the Essence Sap node. The Cast On damage Taken setup helps quite a lot, get it early if you have the links. Milestones: 1k hp for normal lab, 2k hp for Cruel Lab, 3k hp for Merciless Lab. For Uberlab, 4k2 hp works fine. Swap out the jade flask for an extra life flask. 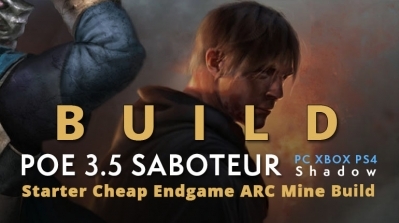 Switch the pantheon to Soul of Solaris. 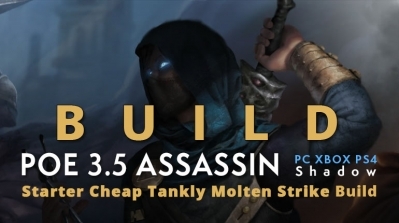 If you have Quillrain and Thief’s torment early on, then leveling is a breeze. The Witch is Path of Exile's pure intelligence class, making her an unmatched master of the elemental and dark arts. She wields the power of raw magic to decimate her foes from a distance. 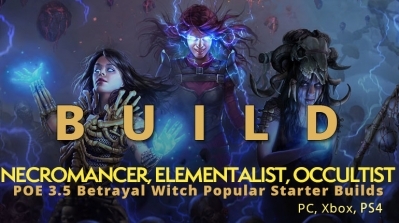 In this guide, poecurrencybuy aims to share the most popular builds about Witch in Path Of Exile Betrayal League. There are many different types of StrongBox in Path Of Exile. 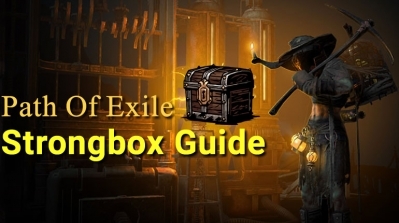 Today, We will introduce you a guide to the PoE StrongBox. This guide details the prefix and suffix of several common types of StrongBox. It also describes the items and rewards available in the StrongBox. 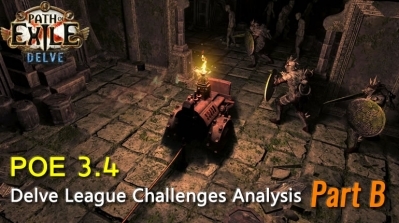 This issue guide follows the previous article and continues to introduce the relevant challenges of the Delve League with accompanying videos for players' reference. 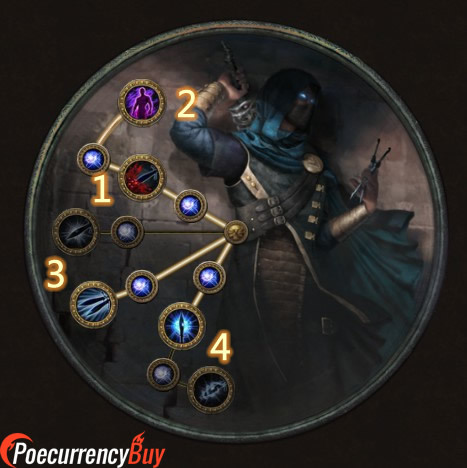 This is not only a newbie guide, but also a detailed introduction to the delve league. Some player really want to know what else in delve has not been played yet., so please continue to browse. 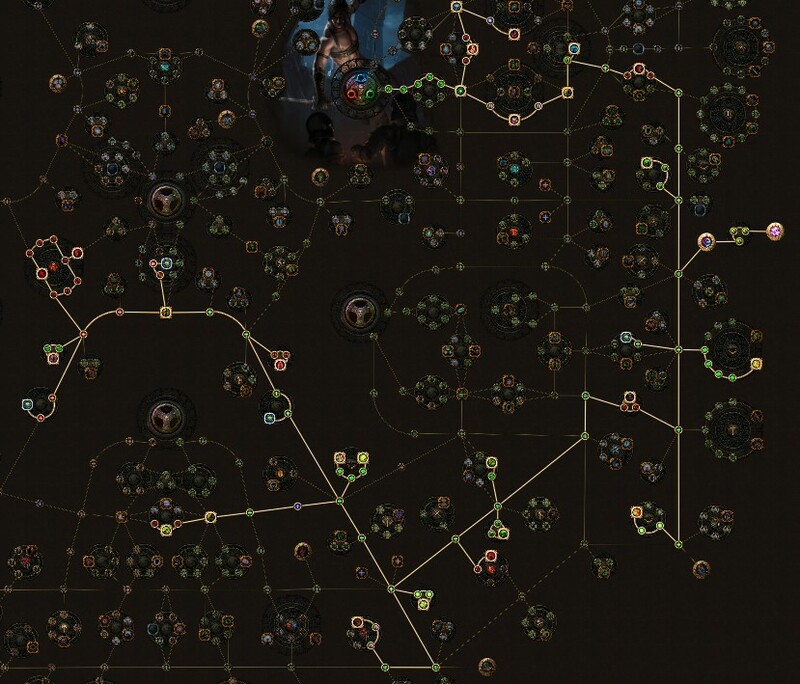 This build have over 1.5 millon DPS against Shaper, you can fast map cleaning and kill shaper in 5 link. 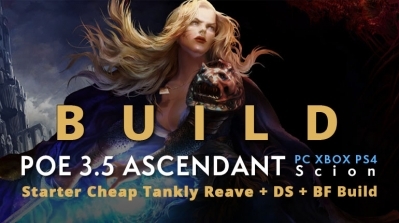 So this guide you will see some good build that has a lot DPS and can be a league starter.